like a two dollar pistol. Like a rocket shot to the sun." The Godz were a hardworking late 70's rock band from Ohio who toured with groups like Kiss and Cheap Trick...but could never reach that level of success themselves. 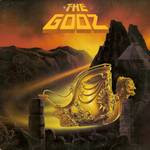 In fact, The Godz ...initially became a verbal punching bag for many music critics. Spinning the disc today...I find their criticsm unfair and totally missing the point. The Godz played with a ballsy hell-raising...fun-lovin' attitude. Blending a touch of southern tang...reminiscent of vintage Black Oak Arkansas mixed with Grand Funk ...The Godz created solid guitar churning rock. Their self-titled debut is filled with 7 tracks...many begging to be rediscovered. The biggest surprise is the tasty cover of Golden Earring's..."Candy's Going Bad". I never cared that much for Earring's version...but The Godz own it. "Go Away" and "Guaranteed" are strong tracks as well. Track 4:-->"Gotta Keep A Running"...cranks and burns from the hi hat opening to the pedal to the metal ending. And supposedly received heavy rotation in the Midwest upon its release. The song also has a hilarious (yet sincere) middle break with Eric Moore speaking about what rock rebels they are/we are. I loved it! The Godz circa 1988 (maybe) And their still rockin'! The Godz are sorely underrated. The good news is...The Godz are back together and presently playing spots in Ohio...soon to begin touring cross-country and releasing a new CD. Good for them! Yeah...but what have you got to show? got up to have a go." Steve Forbert is one of those rare singer-songwriters. The kind that can literally break your heart one minute...and put it all back together the next. One of my favorite artists...Forbert has been "howling out words and banging out chords" for over 30 years. Forbert delivers his songs with a unique and wonderful stutter-step style...allowing his thoughtful words to carry the weight they deserve. Nice. 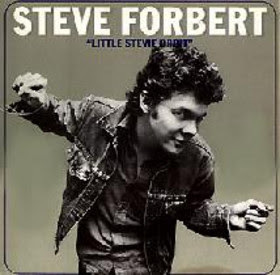 From start to finish..."Little Stevie Orbit" (1980) jumps out of the speakers with a rousing confidence. Each song is filled with uncanny observations and worldly wisdom that will have listeners nodding their heads with understanding. Track 4:-->"Laughter Lou" is a great song about critics who constantly wallow in the negative. You know the ones. Always pointing out the flaws. Noticing only the imperfections. Never offering a compliment without adding the backhanded...'but'. "Little Stevie Orbit" is a lost diamond...filled with 13 nuggets to rediscover. For that matter...why not check out the rest of the Fantabulous Forbster's catalog? He just keeps getting better. Forbert is a champion for all those who fail to score a ten on life's balance beam. That'll bring you to your knees." Country music ambassador Ralph Emery has been associated with this genre ever since he was an all-night DJ at WSM AM radio in Nashville during the late 1950s. I first became a fan of Ralph Emery when he was hosting the country television talk show..."Nashville Now" (1983-1993). Admittedly...it was Ralph's sidekick...'Shotgun Red'...that first caught my attention. But Ralph's relaxing...down-to-earth...style won me over. For over fifty years...Ralph Emery...has rubbed shoulders and befriended hundreds of country music stars. Many just trying to get their cowboy boots in the door...only later to become country legends themselves. Ralph & Shotgun on Nashville Now - Last Show! "The View From Nashville" (1998) is filled with funny stories...sweet memories...and surprising information about all facets of the country music business and the legends who carved their unique paths to stardom. Brenda Lee to Dolly Parton. Patsy Cline to Naomi Judd. Porter Wagoner to Kris Kristofferson. Hank Williams to Alan Jackson. It's all included and so much more. Inducted into the Country Music Hall of Fame in 2007, Ralph Emery has had a ringside seat to the hardships and successes of so many legends...it is simply amazing. And Ralph shares his stories with a refreshing...'have a swallow of sweet tea'...style. The book is a quick read and quite the page-turner. And one doesn't need to be a country music fan to enjoy these stories. But if you are...all the better! 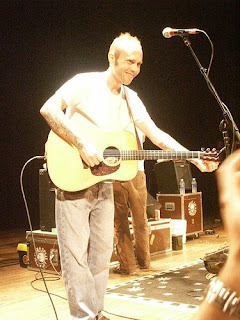 There is an uncalculated pureness in the songs of Kirk Rundstrom. They bump into country. Shove into bluegrass. Push into rock. All with plenty of rebellious buzz. And..like his music with "Split Lip Rayfield"...there is a backporch beauty to Rundstrom's music. Even his darker numbers invite repeated listens. 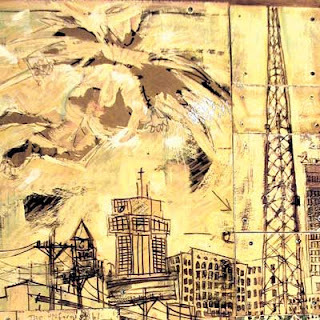 "Same Ugly Town" (2006) is a terrific CD and one I've been using to start my car. Fifteen songs that will fill the listener with an urgent need to ditch their phone...escape all the walls and go outside. "Does your momma know you're wild? of the way that you move. Does your momma know you're wild?" 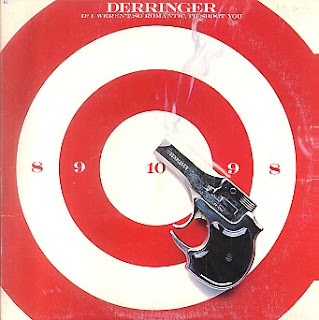 And having one of the coolest names in rock n roll...I was hoping for Derringer to cut loose. Burn some rocks. A little guitar brashness...ala "...Hoochie-Coo", perhaps. However...RD caught me a little off-guard by deciding to park in the Power Pop garage with "If I Weren't So Romantic...". But once I discovered where his keys were hanging...this LP became much more approachable. The title track is a slow acoustical number with some odd lyrics...but RD sells the song like a silver-tongued aluminum hack. "Sleepless"...(a Patti Smith cover) is very good. And "Lawyers, Guns and Money" (a Warren Zevon cover) stays faithful...but left me wanting to shuffle through my 'Pod to hear the original. "Rocka Rolla" is a foot mover and "Power Of Love" also deserves a listen. Track 4:-->"EZ Action" is a terrific kicker...with a little Derringer guitar damage. There's some loaded RnR artillery here...but RD never quite gets around to pulling the trigger. He has some better stuff. Definitely worth purchasing as a 2 LP on 1 CD at Amazon though.